I'm trying to write a comment, however, I found that the box is too small. It makes it difficult to see the entire message I've written. Is there any way to increase the size of the comment box? Just pull down the corner! « You may only edit a comment every 5 seconds. » Why? 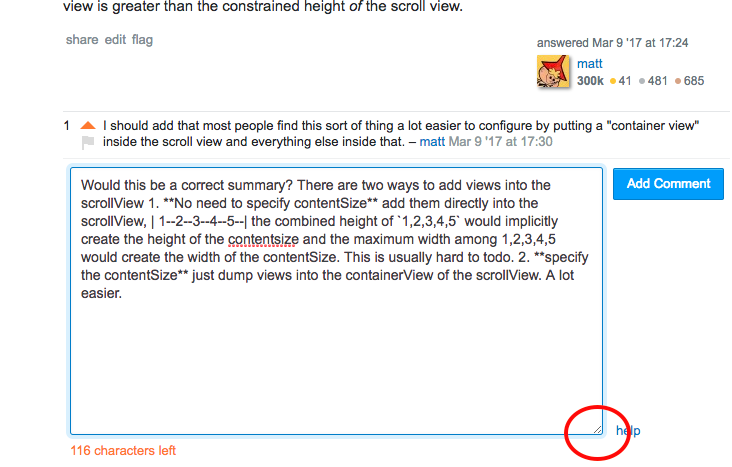 Is there an online editor to automate Comment formatting and editing? How to re-word my alleged “snarky” comment? Should text formatting contribute to the comment character count? What are the actions that trigger comment notifications?